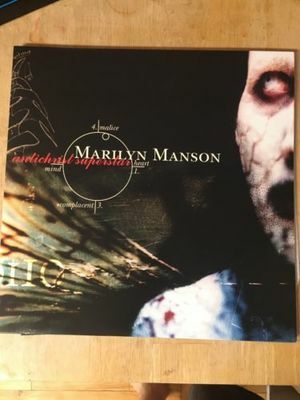 This is a very rare copy of Marilyn Manson’s Antichrist Superstar on Red Vinyl. Only played a few times, recently to check playability. 2 x LP Red Vinyl pressed as a Hot Topic exclusive of 1500 copies. Jacket in very good condition, small knick noted in pictures.